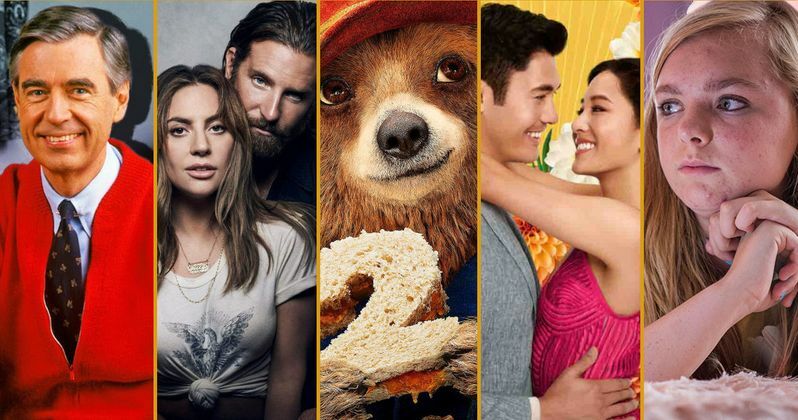 The 2019 Oscar nominations have been revealed and, while there were some pleasant surprises in the bunch, as per usual, there were plenty of snubs to go around. Certain movies, that were beloved by critics and audiences alike, were left out by the Academy completely. While some titles that did quite well overall managed to get snubbed in some perplexing categories. No matter what the individual situation, there are a lot of potentially missed opportunities to look at. Starting with the out-and-out snubs, hits and critically-acclaimed movie such as Crazy Rich Asians, Ben Is Back, Boy Erased, Eighth Grade, The Rider, Sorry to Bother You and Widows were all left out in the cold without a single Oscars nomination to speak of. In the case of Beautiful Boy, Timothee Chalamet missing out on Best Actor is particularly surprising. Elsewhere, the Mister Rogers documentary Won't You Be My Neighbor was somehow left out of the Best Documentary Feature category, which seemed pretty close to a lock ahead of today's announcement. Three Identical Strangers also missed out on a nom in that category. The acclaimed foreign drama Burning was also left out of the Foreign Language Film category, which is another shock. Also well worth pointing out is the lack of recognition for Paddington 2. The Paul King-directed sequel has an astonishingly perfect 100 percent approval rating on Rotten Tomatoes with 2018 reviews counted. Both of the Paddington movies have been criminally ignored so far, despite being loved on a near-universal level. On the acting side, there were some surprises. Emily Blunt failed to garner a single nomination even though she turned in two worthy performances in A Quiet Place and Mary Poppins Returns. Other actresses who didn't make the cut include Claire Foy for First Man, Margot Robbie for Mary Queen of Scots and, even though it was something of a long shot, Toni Collette for Hereditary. As far as actors go, the biggest snubs were Ethan Hawke not getting a Best Actor nomination for his work in First Reformed, which was recognized for Best Original Screenplay, and John David Washington, who missed out despite his turn in Spike Lee's BlaKkKlansman. Additionally, Brian Tyree Henry didn't get a nod for his turn in If Beale Street Could Talk. In terms of directors, there were a few glaring omissions. Despite the fact that A Star Is Born earned eight nominations overall, including Best Picture, Bradley Cooper was not nominated for Best Director. On that same front, Ryan Coogler wasn't nominated for his work on Black Panther, which scored seven nominations and became the first ever superhero movie to land a Best Picture nomination. Peter Farrelly also missed out on being nominated for Green Book. However, perhaps the biggest omission is that the Academy didn't nominate a single female director this year. In fact, only five women have ever been nominated and only Kathryn Bigelow (The Hurt locker) has ever won. There were several worthy possible inclusions this year, such as Marielle Heller (Can You Ever Forgive Me? ), Lynne Ramsay (You Were Never Really Here) and Debra Granik (Leave No Trace). Sadly, it's yet another year in which female directors aren't getting the recognition they deserve. The 91st annual Academy Awards ceremony will be held on Sunday, February 24.